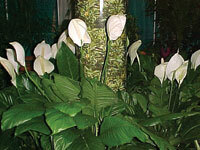 Our company’s focus is on providing beautiful live plants and quality services to all our clients. Our experienced technicians take great pride in keeping our customers' interiorscapes looking their best. With over 10,000 square feet of greenhouse space, we are able to frequently rotate out plants in our clients' office space. 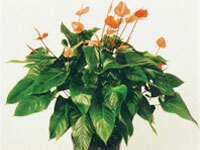 This enables us to provide beautiful fresh plants at a considerably more affordable price than our competition. Live, healthy plants can do incredible things to an interior work place or a customer reception area. They provide more relaxed atmosphere and a natural feeling of warmth, not to mention a proven ability to clean the air. For more than 30 years, The Plant People have dedicated ourselves to providing local businesses with professional interior plant designs and experienced maintenance programs. We pride ourselves with being one of the best interior plant providers in the market today. Our services are second to none when it comes to quality of product, customer services, and price. At The Plant People, we have built our reputation on the quality of our service. Please feel free to contact us today to schedule an appointment for a consultation. We look forward to the opportunity to submit a proposal to be your interior plant provider. Replace tired, used plants with fresh new ones as needed. Clean and dust each and every plant. 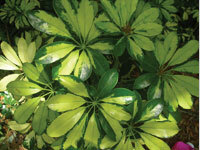 Eliminate any brown or yellowing leaves. Add fertilizer frequently to preserve the life of the plants. Make sure the moisture level in soil is correct and apply water as needed. Prune as needed for size and shape control. Perform disease and insect control as needed. We use only the safest methods available. Healthy Live Plants in your workplace say wonderful things about you and the way you do business! For more than 30 years, The Plant People have dedicated ourselves to providing local businesses with professional interior plant designs and experienced maintenance programs. Providing our services for most Daytona Beach Resorts. We lease and maintain your live plants. Offers foliage design systems. 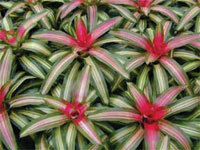 If you are in the market for interior plants for your resort, office, or showroom, you have come to the right place!